Made to Order; normally delivered in 17 - 19 weeks. Spread the cost from only £120.88 a month with Interest Free Credit. Ligne Roset’s trademark creativity combines with functionality. 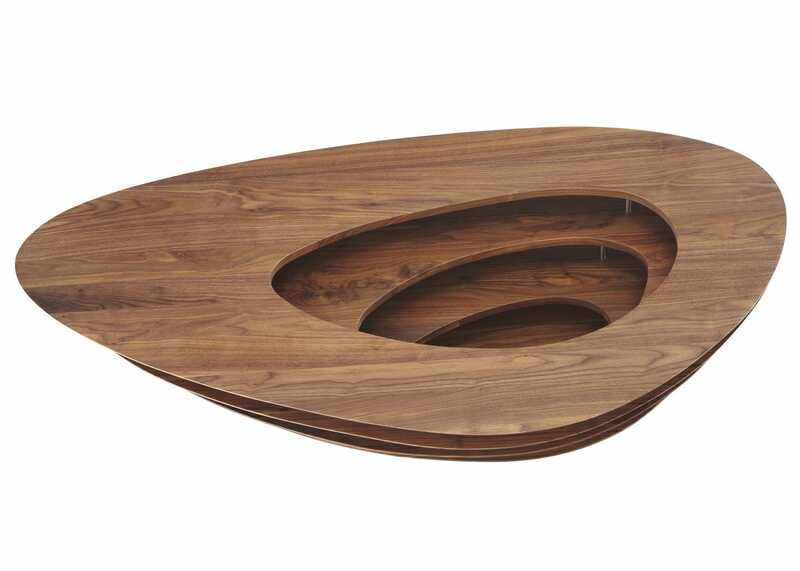 A solid walnut boat frame outline provides a pleasing sculptural form, while rows of shelving provides a convenient method of storing books, magazines and ornaments. 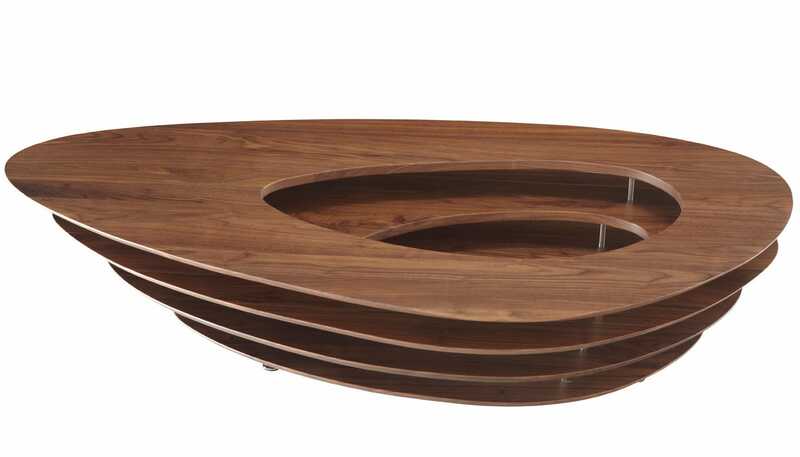 4 x solid walnut table surfaces.